If you’re part of a growing business that’s strongly dependent on email marketing and you don’t mind a learning curve, you’ll love the power and integrations of Infusionsoft. If you want to get started with your new software right away and prefer convenience to features, you’ll love Ontraport. From features to design, Infusionsoft (Visit Website / Read Our Review) and Ontraport (Visit Website / Read Our Review) have a great deal in common. Both pack a diverse range of marketing features into a powerful, albeit somewhat intimidating, user interface. Both make it easy to set up email marketing automation campaigns. Both are designed with the needs of small-to-medium-sized businesses in mind. 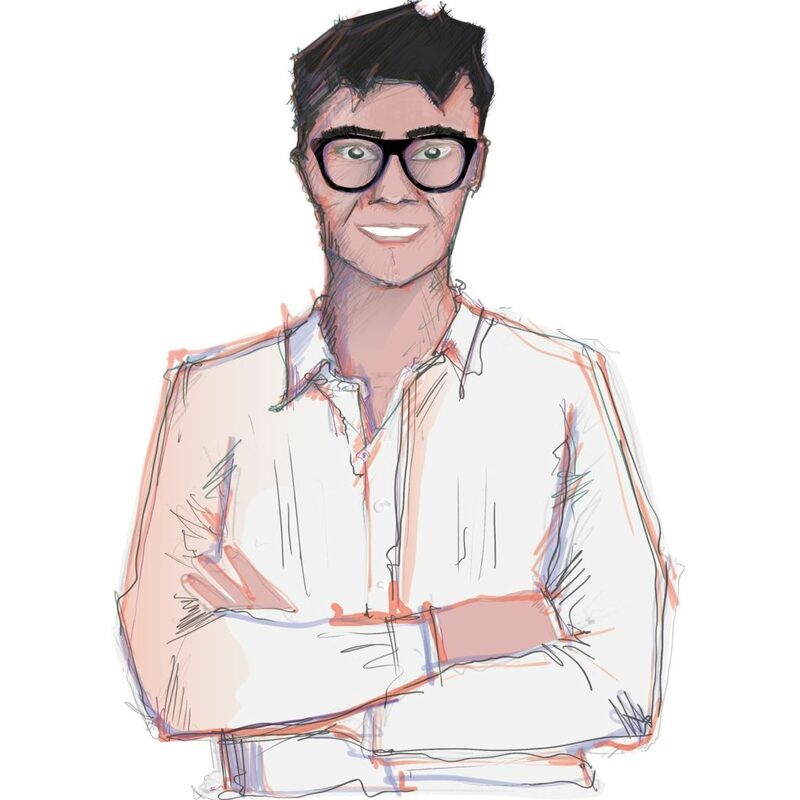 Both combine online marketing and sales with a built-in CRM tool. Compared to “prosumer” email marketing automation apps like Drip and ConvertKit, Infusionsoft and Ontraport are somewhat difficult to use, with challenging learning curves for first-time users. Despite this, both applications are hugely powerful for users that know how to handle them. Below, we’ve compared the features, advantages, disadvantages and value for money of both Infusionsoft and Ontraport. If you’re searching for an all-in-one email marketing automation tool but can’t decide which is best for you, keep reading to find out. Compared to other email marketing and business automation tools, Infusionsoft and Ontraport are both packed with features. Both applications include built-in CRM systems, email marketing automation platforms, business automation tools and more. Ontraport and Infusionsoft both include landing page builders that let you quickly create, publish and test new email capture landing pages. With Infusionsoft, you can create and edit landing pages via the software’s landing page builder tool. Infusionsoft comes with a variety of landing page templates, all of which can be customized using the builder to achieve a completely new look and feel. Design options range from page elements such as headings, text, HTML form fields and images to embedded YouTube videos and social media content. Infusionsoft’s landing page builder has a simple drag-and-drop interface that makes editing a landing page simple, even for beginners. One useful feature of the Infusionsoft landing page builder is that it lets you auto-populate fields using a subscriber’s contact information, increasing your conversion rate. Pages created using Infusionsoft can be published to Infusionsoft hardware or self-hosted on your own server. Ontraport also includes a landing page builder called Ontrapages. The page builder lets you put together a customized landing page using “content blocks,” which consist of page elements and text, image or video content. Like Infusionsoft, Ontrapages includes a variety of free landing pages suitable for product sales, lead generation and email list growth. There are also a variety of paid landing pages available in the Ontraport Marketplace. Like Infusionsoft, creating a landing page in Ontrapages is a simple process. The page builder is slightly easier to use than the Infusionsoft builder, making it a better choice for non-designers interested in launching and testing new landing pages as quickly as possible. Infusionsoft includes a powerful email marketing automation platform that lets you send targeted content to subscribers at a specific time and date, or based on their behavior. Email campaigns are handled through the Infusionsoft Campaign Builder, which has a simple drag-and-drop UI. Creating a new campaign is a simple process. Infusionsoft uses a canvas to organize campaign events, with events (such as a specific email message being sent to a subscriber) scheduled to occur at a specific date, or at a specific time interval after the subscriber joins your list. Automation rules can be configured based on a user’s behavior. For example, if a user buys a specific product, you can configure Infusionsoft to automatically remove them from a “prospect” list and move them onto a “buyer” list to receive a second series of emails. All of the emails sent from Infusionsoft are responsive and look fantastic on desktop and mobile devices. Infusionsoft includes full A/B testing and tracking for all relevant email marketing KPIs, making it easy to optimize your campaign for a higher response and conversion rate. 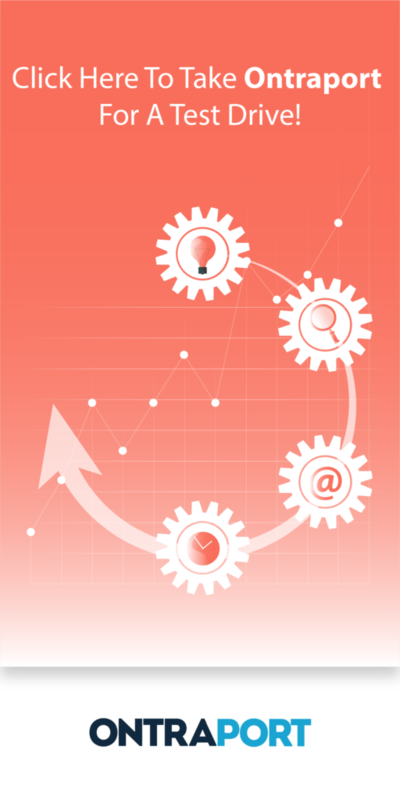 Ontraport boasts similar email marketing automation features. Setting up an email sequence is a simple process that anyone, even a newbie email marketer, can complete. Email sequences include time and date intervals, as well as list segmentation to help you tailor your message. One of Ontraport’s biggest strengths as a marketing automation tool is that it can deliver SMS messages to your subscribers in addition to email content. Once you have a subscriber’s phone number, you can reach them via SMS with special offers, invitations and other content. 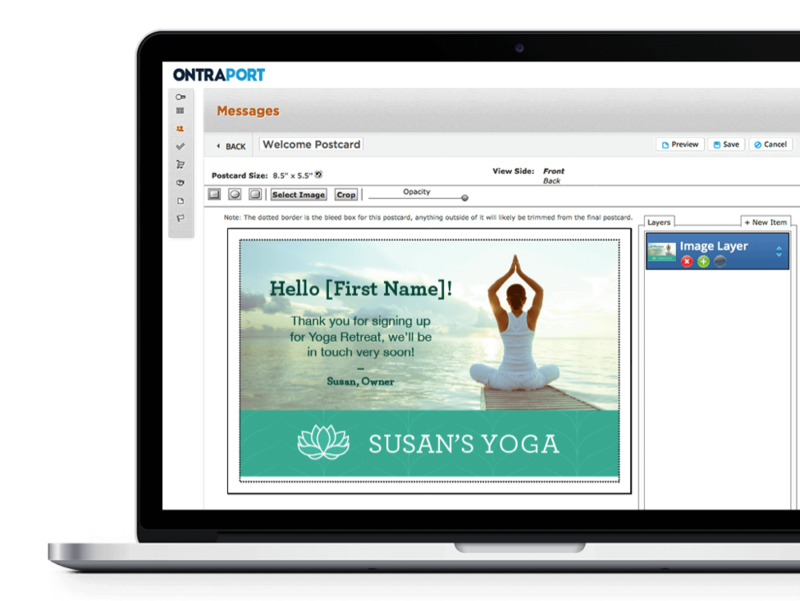 You can also use Ontraport to deliver marketing postcards, fulfill product orders and add users to your CRM tool for an in-person sales follow-up. Ontraport supports automation rules, which can be used to group users into specific segments based on their behavior. Rules are easy to set up and are ideal for separating customers from non-customers and grouping high-priority contacts into separate lists. Ontraport and Infusionsoft both include a CRM tool. When combined with their email marketing features, the CRM platforms in Infusionsoft and Ontraport make following up with your email list subscribers over the phone, via chat, or using direct mail extremely simple. Using automation rules, you can automatically add appointments to the CRM based on specific user behavior. For example, if a user expresses interest in a specific product or event that your latest sales email mentions, Infusionsoft or Ontraport can automatically create a CRM note. This makes following up with warm leads and interested customers a breeze. Both tools boast powerful, user-friendly CRM tools with similar features. If you’re part of a small or medium-sized business with an in-house sales team, you’ll find a lot of value in both products. Infusionsoft and Ontraport both integrate with a variety of other applications, but Infusionsoft is the clear winner when it comes to automations. In total, Infusionsoft integrates with almost 400 other applications, while Ontraport currently has 34 integrations. You can view a full list of Infusionsoft integrations here, as well as a full list of integrations for Ontraport here. Infusionsoft’s larger range of integrations make it a better tool if you need to integrate with existing software as part of your digital marketing process. Discount Coupon >>> Get The Max Savings On Infusionsoft Here! Infusionsoft is a powerful marketing automation platform that’s ideal for fueling growth, but it isn’t quite perfect. A challenging user interface, steep learning curve and significant initial costs make it a great option for some and a poor option for others. Infusionsoft is a very diverse range of tools, with everything from an email marketing automation platform to a built-in CRM. If you need one platform to power your entire digital sales process, Infusionsoft is one of the best options available. Although its landing page builder isn’t quite as powerful as third party landing page software, it’s more than enough for building simple lead capture, event registration, product sales and membership website landing pages. Infusionsoft has one of the most powerful email marketing automation toolkits on the market, making it ideal for businesses that strongly depend on email marketing. Emails sent from Infusionsoft are 100% responsive and look great on desktop and mobile devices. Built-in affiliate management makes Infusionsoft a great choice if you want to promote your product, service or membership website using affiliate marketing. Infusionsoft has a very steep learning curve, with mandatory Kickstart training packages for new users. These training programs start from $699 and cover several days. Steep setup fees make Infusionsoft a very expensive piece of software, particularly for small businesses that want to experiment with email marketing. As a whole, Infusionsoft is quite intimidating. If you haven’t created an automated email marketing campaign before, you might struggle to find your way around the software. Some users have reported delivery problems with Infusionsoft, which can be a serious issue if you have a large mailing list. Infusionsoft is an extremely powerful suite of digital marketing tools built for a very specific type of customer: SMEs and high-volume email marketers. Since it requires several days of training and has steep setup costs, it’s better for established email marketers than absolute beginners. If you’re part of a small or medium-sized business that depends on email marketing and needs a reliable long-term solution, you’ll like Infusionsoft. However, be prepared for quite an intensive learning process as a new user. Ontraport has some serious strengths — it’s built for everything from email to direct mail, has an easier user interface than Infusionsoft, and doesn’t have the steep setup fees. However, it also has some minor disadvantages compared to its competitors. Ontraport is built for multi-channel marketing, which makes it an invaluable tool is your business uses email, telemarketing, direct mail and other marketing channels. Most of your marketing channels are accessible from one interface, meaning you don’t need a variety of different applications. If you’re a high volume emailer, you can request a private IP from Ontraport for better email deliverability. Ontraport tracks KPIs such as open rate, clickthrough rate and more, making it easy to A/B test different emails and optimize your campaign. Ontraport emails look and read well, with responsive layouts that suit both desktop and mobile devices. The ONTRApages landing page builder makes creating opt-in forms and lead generation landing pages simple, with a drag-and-drop user interface. Ontraport forms and landing pages integrate with WordPress using the PilotPress plugin. 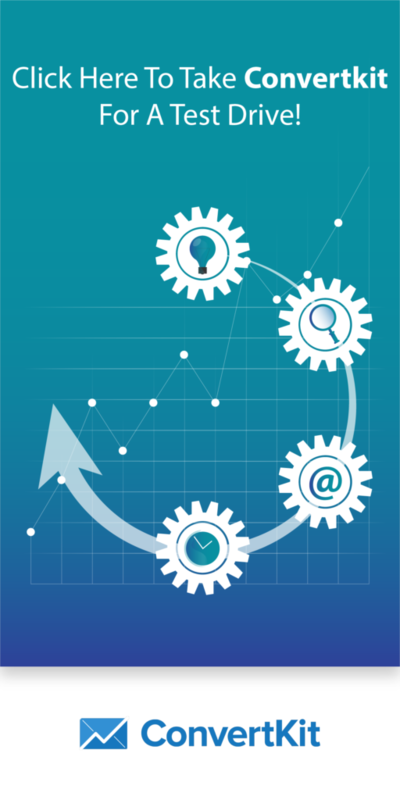 Ontraport’s CRM makes following a customer’s progress simple, with full integration with your automated email, SMS and direct mail campaigns. Using automation rules, you can add notes and tasks to Ontraport’s CRM based on each user’s on-site or purchasing behavior. Ontraport has 34 integrations compared to the almost 400 integrations available for Infusionsoft, making it harder to work into your existing digital marketing software toolkit. 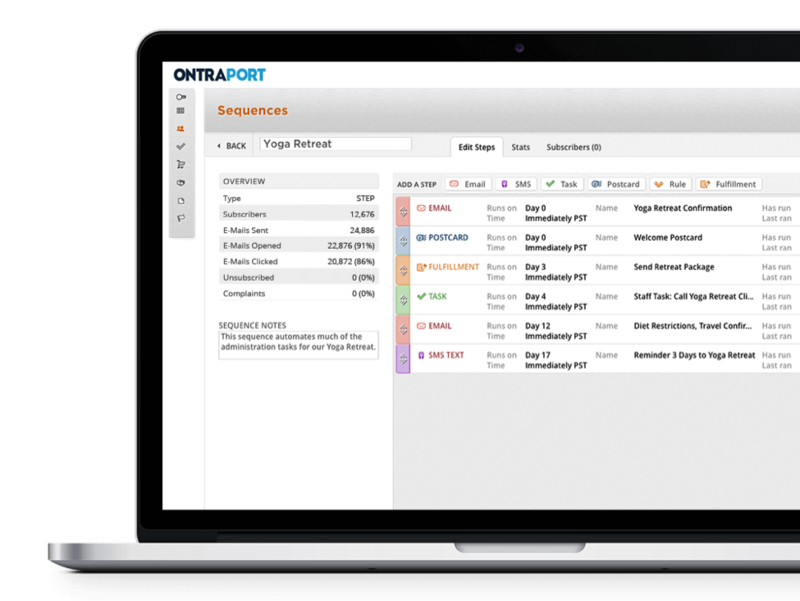 Like Infusionsoft, Ontraport is a powerful sales and marketing automation tool. Since it’s built for multi-channel campaigns, you’ll find a huge amount of value in Ontraport if you use email, direct mail and SMS as marketing channels. Since Infusionsoft and Ontraport are both SME/enterprise software, neither are priced with first time users in mind. Both cost several hundred dollars per month in usage fees, and Infusionsoft requires a mandatory Kickstart training course before you can start. Infusionsoft is available as part of three monthly packages. The cheapest package, which offers access to the email marketing automation platform and CRM, costs $199 per month. If you plan to use Infusionsoft as part of a team, you can buy a multi-user package for $599 per month. The Infusionsoft Essentials plan supports up to 2,500 contacts and 12,500 emails per month, as well as usage rights for up to three people. With the Team Infusionsoft plan, you’ll be able to add up to 20,000 subscribers to your list and send up to 100,000 emails on a monthly basis. All Infusionsoft plans include restrictions on email volume and subscriber count, which can be extended for a fee. Infusionsoft doesn’t provide public pricing for raising your account’s email volume or subscriber count — for more information, you’ll need to contact Infusionsoft. Before you can use Infusionsoft, you’ll need to complete a Kickstart course to learn your way around the software. The cheapest course, Kickstart Basis, costs $699. Kickstart Plus, which Infusionsoft recommends for businesses “with an existing strategy,” starts from $1,699. Ontraport is available in three different monthly plans, all with SaaS-style ongoing pricing. The Basic plan starts from $79 per month and supports a list size of up to 1,000, unlimited emails and access for one user. There Basic plan includes CRM access but has some restrictions on full Ontraport features. For full access to Ontraport, you’ll need to purchase the Pro plan, which costs $297 per month and supports up to 25,000 contacts and 100,000 emails. If you have a large list, the Team plan, which supports up to 100,000 contacts, is available for $597 per month. Ontraport Pro and Team includes two hours of free set-up services, making it easy to port your existing list and campaign into Ontraport. Additional contacts and email capacity can be added to your Ontraport account at a monthly cost of $99 per 100,000. Infusionsoft and Ontraport are similar applications at a similar audience. 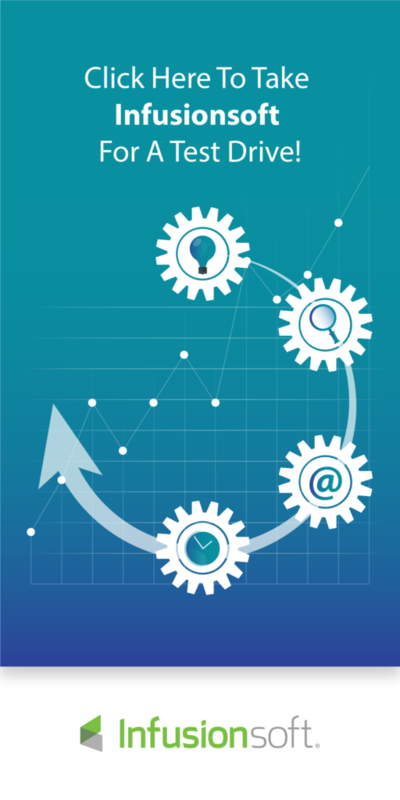 Both combine email marketing automation tools and CRM systems into powerful, versatile packages built with the needs of small and medium-sized businesses in mind. If you’re a high volume email marketer with a large list or a growing startup, you’ll appreciate the flexibility and power of Infusionsoft. The learning curve is steep, but once you’ve passed it, you’ll be in control of a powerful marketing platform that can help your business scale and grow. If you use email marketing alongside SMS and direct mail, you’ll love how easy it is to automate your entire multi-channel marketing strategy using Ontraport. Instead of sending postcards and other sales material to customers manually, you can automate every aspect of your campaign. Another strength of Ontraport is that it’s built for collaboration between marketing professionals and sales teams. Events and reminders can be added to the built-in CRM tool based on email subscriber behavior, allowing you to follow up an email message with a phone call. This feature is also present in Infusionsoft, but Ontraport’s multi-channel automation makes it such a standout performer for marketing/sales teams. On the whole, Infusionsoft and Ontraport are both excellent marketing automation tools. There’s no “better” application -- just more suitable tools for different goals. If you can tolerate a difficult learning curve, you’ll love Infusionsoft. If you do multi-channel marketing, you’ll love Ontraport. 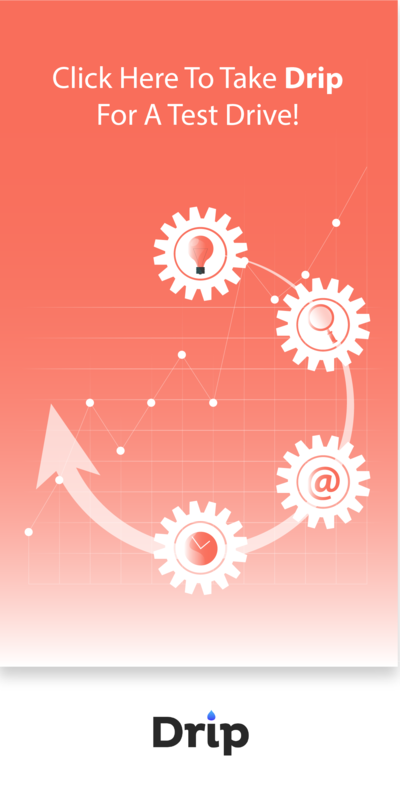 What’s your favorite marketing automation software? Ontraport and Infusionsoft are high quality, enterprise level marketing automation tools. Both are built from the ground up for SMEs, with a variety of features that are likely outside the needs of smaller, beginner marketers. From simple tools like ConvertKit and Drip to all-in-one automation solutions like Infusionsoft or Ontraport, what is your favorite marketing automation software? Let us know which automation tools you can’t live without in the comments. ...That if you'd like to give Ontraport a test drive, they have a 90 Day Money Back Guarantee.